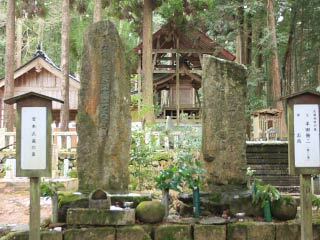 The grave of Miyamoto Musashi (宮本武蔵の墓) is located Mimasaka, Okayama prefecture. His bone was shared from Kumamoto. There are grave of his parents and grand father. It is located inside of Musashi shrine.